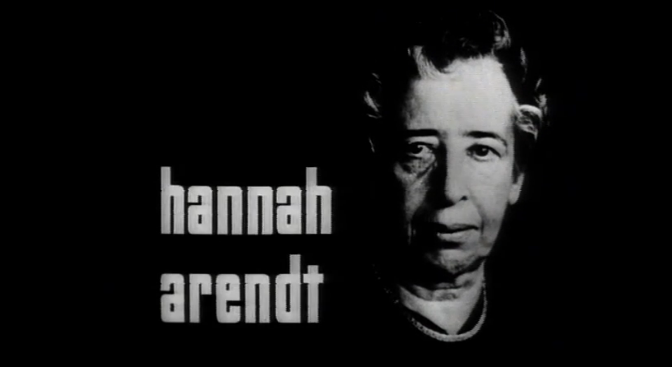 In this interview with English subtitles, political theorist Hannah Arendt discusses her role as a woman in academia, philosophy, politics and more. Arendt, author of “The Origins of Totalitarianism,” is described by the interviewer as “a lady with a profession some might consider a masculine one…a philosopher.” Arendt replies, and is not pleased. Later, Arendt injects gender into the conversation again. You ask about the effect my work has on others. If I may speak ironically, that’s a masculine question. Men always want to be influential. I see that somewhat as an onlooker. Do I see myself as influential? No, I want to understand. If others understand in the same way I’ve understood that gives me a sense of satisfaction, like being among equals.